Porch Bed Swing Plans. As seen in the Southern Lady, July/August 2013. If you have never relaxed in a swinging bed, you don't know what you are missing! To purchase the complete woodworking plan and instructions on how to make this hanging porch bed swing click here. We used (9) large throw pillows with zippers and one cushion cover with self piping & zipper. 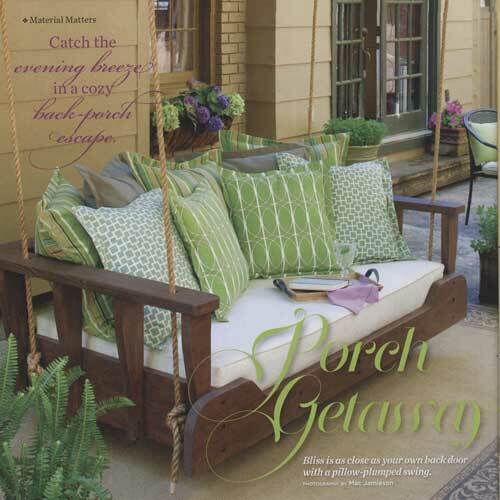 To have the cushions and pillows made for your porch swing bed, please email us at info@patemeadows.com or call us at 205-424-1770.